What is CData API Server? 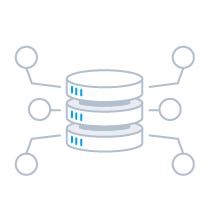 Supports popular databases like SQL Server, MySQL, DB2, Mongo, Cassandra, Flat Files, etc. 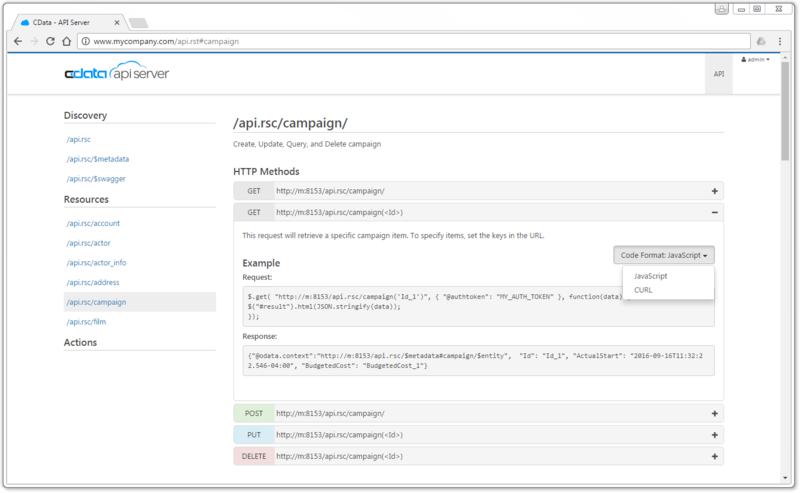 The API Server is the fastest way to expose your data as a professional API. Whether your organization wants to leverage APIs as a growth catalyst to build an extensive third-party ecosystem, or your focus is building solutions for corporate IT, the API Server is for you. Instant Access from Power BI, Salesforce Lightning Connect, SharePoint, & more! Whether your focus is on facilitating internal operations, partner integrations, or public data access, APIs are the key to increasing business agility and unlocking the true innovation potential of your data. 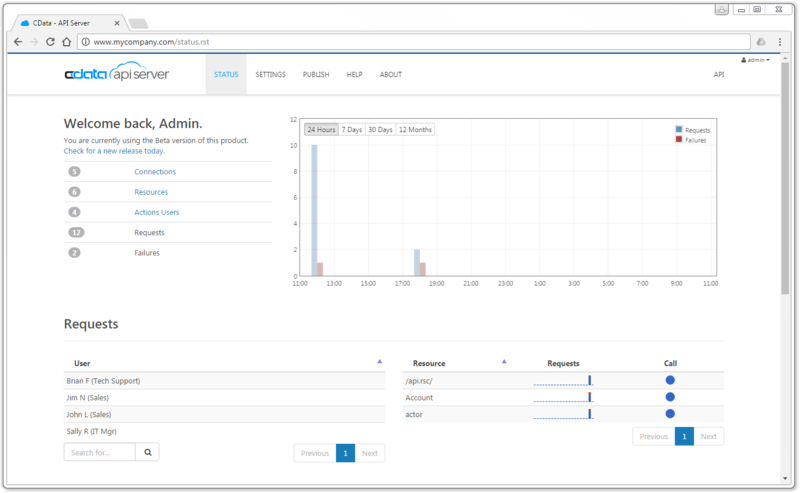 The API Server is the tool you need to publish enterprise-ready REST APIs in minutes - no custom development required. Publish API to any Platform. Secure Data Access. 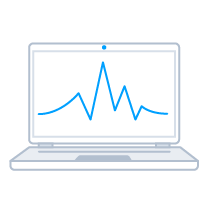 The API Server offers powerful security and access management capabilities including integrated transaction monitoring, management, and data access controls. All communications channels are secured by strong SSL security. Highly Extensible Design. The API Server exposes dozens of services that are easily accessible through simple standards-based interfaces like SOAP, REST, HTML, RSS, ATOM, JSON, XLS, and CSV. Expose Data in Salesforce.com. 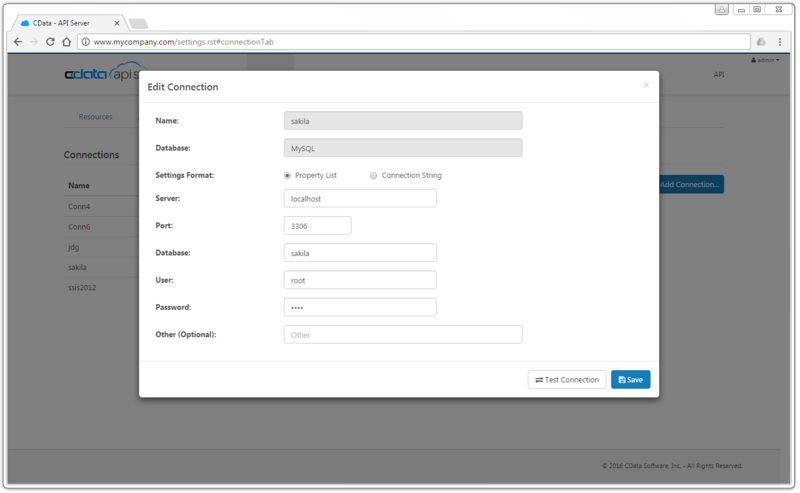 Salesforce Lightning Connect enables the Salesforce CRM platform to connect to OData services and expose that data in Salesforce. 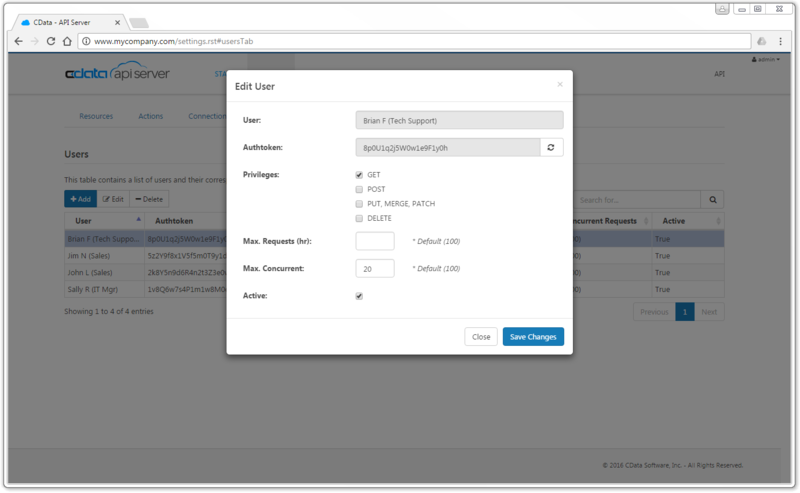 The API Server is the simplest way to connect your back office systems with the Salesforce cloud platform. Connect From SharePoint. SharePoint external lists can be configured to access data through OData services. With the API Server you can make and data source easily accessible from SharePoint and SharePoint Online. Connect From Microsoft Power BI & Excel. Users can connect Microsoft Power BI directly to OData Sources. 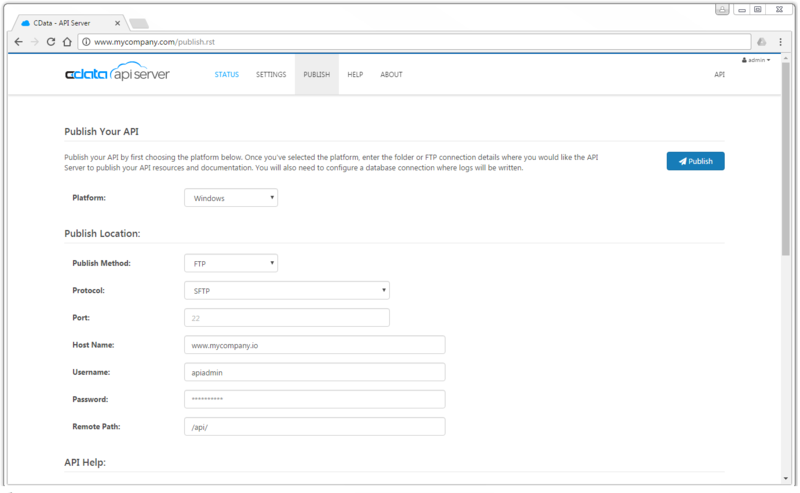 Specify the URL of the OData service created by the API Server, and the application will load data. The returned data can be processed and visualized by anyone - no developer required. Bi-Directional Access to Live Data. The API Server offers full Create, Read, Update, Delete (CRUD) support for integrating with live back-end data. 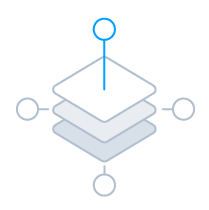 API Server can be used with our ADO.NET & JDBC Drivers to enable connectivity with 140+ SaaS, NoSQL, & Big Data sources. Server licenses sold separately. Multiple Servers, Site Licensing, OEM, Unlimited Cores, etc. Multi-Server, Site Licensing, OEM / White-labeling, etc. 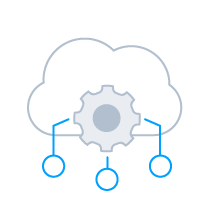 CData API Server for AWS combines API creation and management capabilities with the agility, flexibility, and global footprint of Amazon Web Services infrastructure. Easy deployment: Data APIs in the Cloud in under 10 minutes.